It was in the middle of the 17th century when household Buddhist altars became common fixtures in the homes of ordinary families. Butsudan could last over 100 years by repairing each part separately. 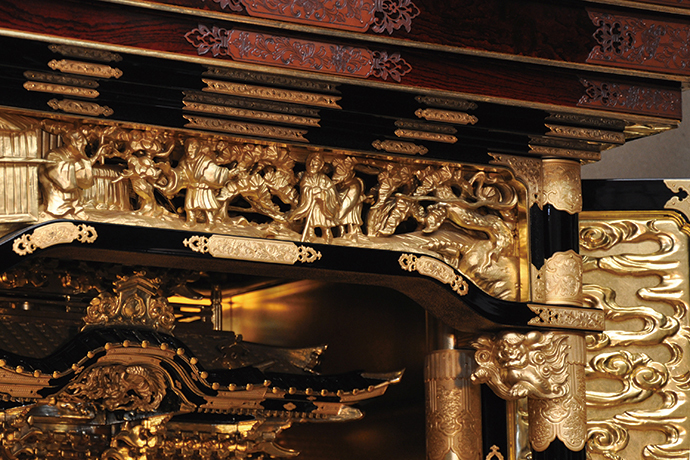 Nagaoka-butsudan is characterized by their highly developed expertise in wood carving for its 3D effect.